Let's Rock the Summer Challenge!! Stella & Dot is kicking off a 6 week Rock the Summer Challenge, July 22nd-August 31st, so that we as stylists can earn the Holiday Hostess Exclusives for FREE!!! If we have them to wear then we can use them as booking tools at trunk shows or just walking around town. By booking in July and August it will help us fill our September Calendars. If we have full calendars in July and August we will have lots of new contacts to call to book our September shows. 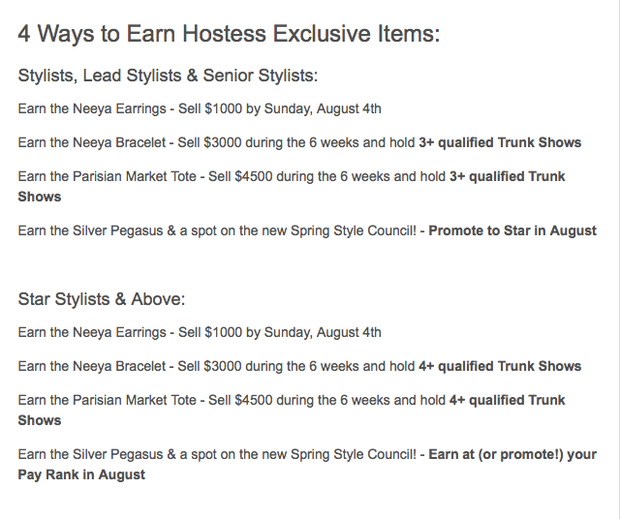 And, all of our September hostesses will be able to have access to the Holiday Hostess Exclusives. So if they host in September they will be the VERY 1ST ones to have access to them come October 1st. (ie if someone hosts in December they won't have access to their exclusives until their show). By expanding your who do you know list in the next 6 weeks you'll have a fabulous "valid business reason" to call these new contacts to get a date on the calendar September or beyond. Click HERE to sign up for the program and get updates about the program all in one place! How can you earn the prizes? · Sign Up at www.rockthesummerchallenge.com to be eligible for weekly bonus prizes, text message updates, and more! Let's Rock The Summer together! Join Leadership Development Director, April Price for a 15 minute kickoff call to hear how you can make the most of this exciting 6 week program. Let's get Inspired, Let's get Motivated and Let's ROCK THE SUMMER! 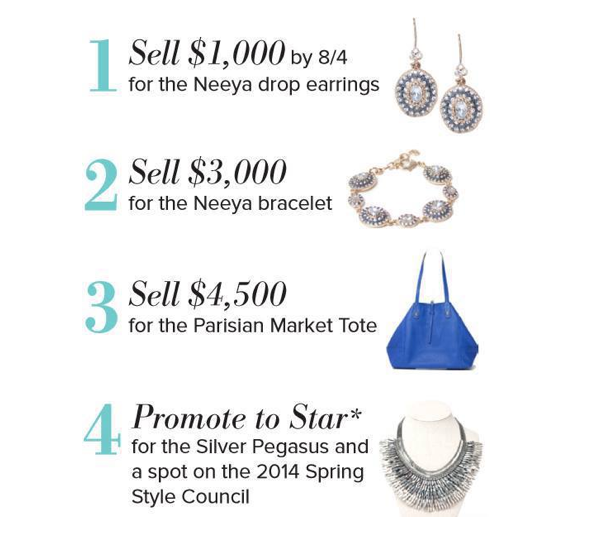 · Sell $1,000 between July 22 and August 4 and rock Level 1 – The Neeya Drop Earrings! · Share your success stories, tips, and learnings with other Stylists - send your story or a short video to communicationsteam@stelladot.com to have it posted on www.rockthesummerchallenge.com. I can’t wait to high five every one of you at the finish line! Let’s do this!